I am SO excited about this new catalog. Yes we have a new catalog coming. Demonstrators are able to see the catalog already and order from it, which is awesome, through the pre-order period. 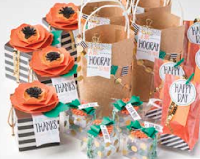 Yesterday early I placed my order, and since you already know I LOVE Stampin'Up! kits I order this one first and can't wait to get it. I speed my delivery, so I think it will be here today! Eeek! Stay tune for more sneak peeks…. And if you think you CANNOT WAIT! Then, become a demonstrator today! 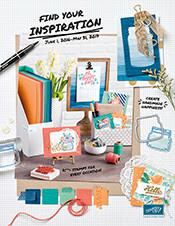 Join me in this journey of creativity and hope and start your Starter Kit with new products from the pre-order section. Contact me…I would LOVE to welcome you to Stampin'Up! Catalog starts June 1st, but demonstrators are able to order NOW! Click here to get more information on how to join.